The answer is no! On January 23, 2017, President Trump appointed Nancy A. Berryhill the Acting Commissioner of Social Security. The appointment occurred under a federal law known as the Vacancies Reform Act (5 U.S.C.A. 3345 et seq.). The term “acting” in important. The United States Congress did not confirm the appointment of Ms. Berryhill. The Vacancies Reform Act permits a person to serve in a government position which requires the advice and consent of the United States Senate without Senate confirmation. The point of the legislation is to allow a person to temporary full fill the duties of position while the Senate is considering a permanent replacement. However, this permission is time limited. In the case of the Social Security Administration, the President has not yet nominated a permanent replacement. In Ms. Berryhill’s case, under the Vacancies Reform Act, the “acting” appointment ended November 17, 2017. The Social Security website continued to show that Ms. Berryhill was the “Acting” Commissioner of Social Security after November 17, 2018. On March 6, 2018, the U.S. Government Accountability Office, through its General Counsel, notified the President, Congress and the Director of the Office of Personnel Management. 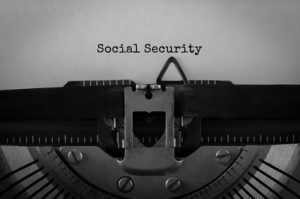 The notice had to do with the Social Security Administration’s continued use of the title of “Acting” Commissioner of Social Security, after November 17, 2017. The notice concluded that because of the continued use of the term “Acting” the Social Security Administration was in violation of the Vacancies Reform Act. Sometime after the letter was sent, the Social Security Administration changed its website. Now the website suggests that Ms. Berryhill is the Deputy Commissioner for Operations and “performing duties and functions not reserved to the Commissioner of Social Security.” For now, the position of the Commissioner of Social Security is vacant. (d) Public Officer’s Title and Name. A public officer who sues or is sued in an official capacity may be designated by official title rather than by name, but the court may order that the officer’s name be added. Rule 17(d) means that at least under the Federal Rules of Civil Procedure, it is not necessary for the actual name of the Commissioner to be named, unless the U.S. District Court orders that the complaint contain the name of the Commissioner of Social Security. There, is of course, another issue. Since the position of Commissioner of Social Security is vacant, may the Commissioner be named? The federal statute which allows the filing of a suit against the United States, to review a decision of the Commissioner of Social Security, 42 U.S.C. 405(g) implies that it is the Commissioner of Social Security who is the only proper party in an appeal of the denial of Social Security disability benefits. The vacancy of office of the Commissioner of Social Security does not affect the right of a claimant to ask for a federal district court review. In fact, on October 17, 2014, President Obama issued a Presidential Memorandum dealing with the order of succession within the Social Security Administration. That Memorandum lists the Deputy Commissioner of Operations as the first official to act and perform the functions of the Commissioner of Social Security when there is no Commissioner. At this time, Nancy A. Berryhill is leading the Social Security Administration in her capacity as Deputy Commissioner of Operations. The Commissioner of Social Security should be designated by official title. This past week, a Special Attorney United States Attorney in (Region 5) prepared and filed an agreed motion for remand on a case I filed in the U.S. District court. The Special Assistant changed the caption of the case from: Nancy A. Berryhill, Acting Commissioner of Social Security to: Nancy A. Berryhill, Deputy Commissioner for Operations, performing the duties and functions not reserved to the Commissioner of Social Security.